Come rain or shine, when you send a package you’ll want to be reassured that it arrives with its intended recipient safely and in a good condition. However, there’s no doubt that wintry weather can be a challenge. Using polystyrene packaging can help to protect the contents of your parcel against cold, snow and frost. Products exposed to extreme cold and water can become damaged in transit. Electrical goods may become faulty if exposed to harsh environmental conditions. What’s more, when it comes to perishable items, it may be imperative to maintain a stable temperature in order to prevent spoiling. Chemicals may similarly need to be kept within a certain temperature range. 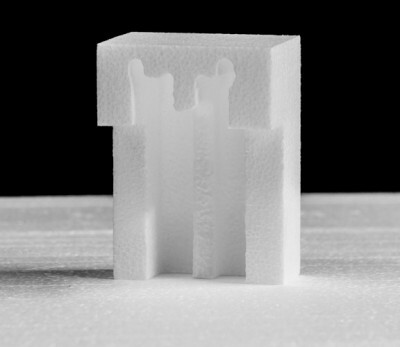 For this reason, polystyrene is a widely used, popular and versatile material in packaging. Why? Water-resistant polystyrene is an effective insulator, creating a barrier which cuts down the transfer of heat. Insulation is the best way to keep temperatures of goods and products inside a package at a constant level, and not affected by fluctuating weather outside. And because it does not absorb moisture (unlike other packing materials), polystyrene is the best choice for transporting electrical goods in the event of a cold snap. Polystyrene is lightweight and yet durable so you know it’s reliable and it won’t add huge costs to transportation tariffs. It’s always a good idea to fill in any gaps to prevent goods from sliding about inside a parcel – and lightweight polystyrene foam is an ideal solution. When packaging fragile electrical items, rigid foam can keep components suspended and cushioned – providing an extra layer of protection against bumps and knocks. Make sure any outer packaging is free from tears or rips and invest in heavy duty tape to keep it fully sealed and watertight. Meanwhile, addresses should be placed inside a waterproof plastic wallet to remain legible in even the harshest of conditions. To ensure goods arrive in the best state and to protect your corporate reputation (whatever the weather), contact us to discover more about the wide range of standard polystyrene packaging solutions available or talk to us about the bespoke manufacturing of material. For a free, no obligation quotation, contact Vertapak using our online form or talk to the team on 01384 457730.